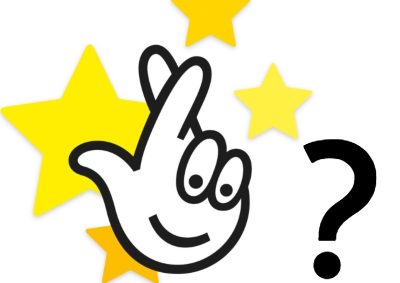 What Changes Should We Expect in UK National Lottery Games? As we head towards the closing stages of the year, our thoughts perhaps turn to Christmas and New Year lottery draws and any potential changes to current and existing lottery games. 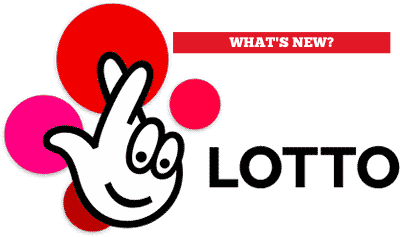 This week has seen big news from Camelot, the operator of the UK National Lottery and EuroMillions. Not only are they making some subtle changes to their flagship games, but they’re also hoping to introduce a brand new draw, to launch in 2019. Read on to find out about the exciting times ahead, as Camelot launch a new lottery game. It’s been announced that the Lotto jackpot will now be won and shared out more often. The maximum number of rollovers allowed will decrease to five, down from the current ten. There will also be a bigger fixed cash prize for the main game. There’ll be the introduction of a fixed price £1 million pot for matching five numbers plus the bonus ball. There will also be a new ‘Rolldown’ mechanic. This will mean that the jackpot must be shared across all winning cash prize tiers if no one winner has been able to match the six main numbers in a lottery draw that has to be won. There won’t be any changes to the main prizes in the game, but Camelot is now going to run more special draws. In these, there will be more multiple guaranteed £1 million UK winners created. 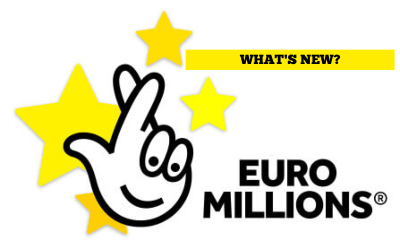 There will now be one UK millionaire in every draw instead of two to help fund these changes. There will also be a brand new annuity game introduced in Spring 2019. There will be a top prize running to thousands of pounds once a month for up to twenty-five years. Each of the draws for Camelot’s lottery games will have changes made to it. There will now be a brand new EuroMillions HotPicks game too, after the extra addition of a further Thunderball draw day in January this year proved to be a huge success. Although there are ten million weekly players, the game hasn’t performed quite as well as was expected in recent years. After a review, it was found that the Lotto game has become too similar to EuroMillions, so a clearer differentiation between the games was needed for The National Lottery’s long-term planning. After consulting with players and retailers, Camelot has decided they want to see a fairer Lotto that gives more people a chance to win a decent size sum of money with more frequent jackpots. There won’t be any changes to the way people can play the Lotto and pricing will remain the same at £2 per line. Six numbers will still be played, and the odds won’t change. Camelot was reluctant to make any more swingeing changes to the games as they stand and were worried about introducing more numbers to the game, as with EuroMillions. 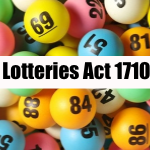 However, pay-outs from Lotto draws will go up and there will be bigger fixed cash prizes alongside the main jackpot to be won, on a more consistent basis. You’ll note here that match 3 to match 5+Bonus Ball prizes are fixed. This is subject to capping in very rare circumstances. More details around prize capping will be included in the new Lotto Game Procedures. If no-one matches all six main numbers on a draw that must be won, each winning cash prize tier will be allocated a set percentage of the jackpot. If the lotto jackpot has rolled over five times, the draw must be won on the sixth game. Millions more players will benefit if no one matches all of the six main numbers in a draw that must be won, as the jackpot will no longer go to a single tier prize. There will now be a roll-down, The jackpot will be shared across all of the winning cash prize tiers which will increase the fixed prize assigned to every other tier, too. As an example, 100,000 Match 3 winners in a typical draw could well see their prizes boosted from £30 to around £100 in a Rolldown situation. People who play the Match 4 winners could each scoop around £500 (up from a fixed prize of £140). Retailers are also set to benefit from the changes too. 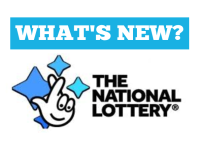 National Lottery retailers across the UK will now receive a sales commission when a player claims a Match 2 free Lotto Lucky Dip prize in their store. It is believed this will result in an average annual commission boost of around £5 million. Jackpots will now start at £15 million and there is going to be the potential for a massive rollover of at least £168 million (€190 million). Sales of EuroMillions games, and therefore the amount of money it raises for good causes, are always affected by huge, rolling jackpots alongside special draws in which multiple winners are guaranteed to take home £1 million. It’s hoped that these draws will garner a lot of player excitement and that sales will go up – this will, in turn, benefit more good causes and charities. Next year (2019) Camelot are going to run more of these draws on a grander scale. They’re hoping to try and create 30 guaranteed UK millionaires instead of the current 10. 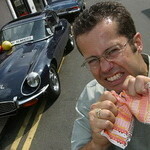 To do this, they are guaranteeing one UK millionaire in every draw instead of two. This change will come into effect early in the New Year and the prizes on the main game will remain exactly the same. The new format will kick off with a special 40 UK millionaires draw in the spring of 2019, with further big events to follow over the summer and it is hoped these will prove to be extremely popular amongst players and retailers alike. Camelot’s newest venture still needs approval from the regulator, but it is hoped that there will be a brand new annuity game launched in Spring 2019. It is believed that this game will offer a set, fixed amount of money to winners over a period of years – up to twenty-five, according to media reports. Camelot has done extensive research into other countries who play this type of game. They tend to appeal to those people who require financial security for life, rather than wanting one big win. It’s an exciting opportunity for players and for the portfolio of games in Camelot’s armory. Details are still being firmed up and the prizes on offer haven’t been finalized either. Watch this pace for more news. It looks like an exciting time ahead not only for Camelot but for the many millions of people who enjoy playing their lottery draws and games. The introduction of the Annuity game is potentially a very exciting and interesting development as it will offer people a genuine chance to win life-changing sums of money and know they will be set for life. It may also help to stop the number of cases of winners who end up squandering all their money, or in dire straits after winning too much, too soon. The developments in both the EuroMillions and Lotto games are welcome additions too and might also mean that more people win life-changing sums of money that can drastically improve their quality of life. Watch this space to see how the new changes and the new games play out. Foreign Lotteries are a No-No for Americans—or Are They?